We’ll be talking about each of these in more detail. If you’re wondering how to get rid of leg pain, there are proven ways of doing so. And there’s help. From home remedies to tailored pain therapies, you don’t have to continue to suffer with leg pain. Leg pain is any sort of pain or discomfort that affects the upper leg, knee, or lower leg. Acute leg pain is generally caused by an illness or injury and will go away with treatment. Minor leg pain will often stop after rest and home care while other acute conditions, such as breaks, will heal after a cast or surgery. Chronic leg pain lasts more than three months. Generally, chronic pain requires a different type of treatment such as drugs, steroid injections, or physical therapy. Because leg pain is so broad a category, it can be caused by a number of conditions or situations. Leg pain is common in individuals who play sports or it can occur after a traffic accident. Degenerative conditions such as osteoarthritis or osteoporosis can cause pain in the lower extremities as well. Conditions affecting the spine can also lead to leg pain such as sciatica leg pain. Some circulatory conditions can also cause pain in the legs like peripheral artery disease and deep vein thrombosis. E-Medicine Health has more information about the anatomy of the leg and how that can cause leg pain. When considering how to get rid of leg pain, it’s best to understand what’s causing your pain. You can talk to a pain doctor to learn more about these different conditions, or to find a diagnosis. Treating leg pain fast requires knowing what’s causing your leg pain. The treatment for leg pain will depend entirely on the core cause. For example, many of the acute causes of leg pain can be treated with at-home care. This includes rest foremost, but also hot and cold therapy, compression, and the use of non-steroidal anti-inflammatory drugs. For minor sprains and strains, this is often all that is required to treat the pain effectively. While more serious, or chronic, forms of leg pain require more intensive treatments, this at-home care model can be used to complement treatments in order to help speed along healing, minimize pain, and improve range of motion and quality of life. Chief among these are dietary changes. Obviously eating healthy and avoiding foods that can exacerbate pain (such as greasy or salty foods) helps, but another more targeted approach can be the use of supplements for treating leg pain. Pain caused by osteoarthritis may be alleviated with therapy, exercise, or certain medications. If you are experiencing leg pain, you need to consult with your pain doctor to determine the underlying cause and the correct treatments. Keep in mind that some conditions that cause leg pain can be extremely critical and need medical attention immediately. However, others may just be able to be treated with home remedies or over-the-counter medications such as non-steroidal anti-inflammatory drugs (NSAIDs). Once cleared by your pain doctor, the following tips for how to get rid of leg pain can help you get on with your life, with less pain. The benefits of regular exercise have been discussed over and over. For those who suffer from chronic leg pain, there are even more potential benefits, making it one of the best answers for how to get rid of leg pain. Stronger muscles act as a support system for the rest of the body, so stronger leg muscles mean that the bones and joints of the leg are better protected. Physical activity also builds up and helps maintain bone density, making broken bones less likely. Low-impact exercises can also help strengthen the legs and lessen pain in the region provided they are done safety and first approved by your doctor. Additionally, exercise causes the release of endorphins, which can help block pain, improve mood, and reduce anxiety, stress, and depression. When leg pain is a result of inflammatory conditions like arthritis, exercise can even reduce the number of inflammatory compounds in the body. This can reduce the inflammation that causes leg pain. The most basic piece of exercise equipment is the shoe. An ill-fitting or poor-quality shoe can contribute to existing leg pain conditions, as well as create new ones. Therefore, when exercise is being used to manage leg pain, it’s particularly important to have good shoes. A physician, physical therapist, or reputable shoe salesperson should be able to recommend a good pair of shoes. Orthotic inserts can also be beneficial, if your current shoes aren’t cutting it. A shoe that’s too tight across the toes can cause ingrown toenails, bunions, or neuroma. A lack of arch support or shock absorbency can contribute to neuroma, plantar fasciitis, heel spurs, and stress fractures. A shoe that fully supports the foot will help prevent rolled ankles, which can cause sprains or breaks. While a condition like an ingrown toenail or broken ankle will most definitely heal with proper medical attention, the extended period of inactivity required to heal can be detrimental. Leg pain that was lessened by exercise might flare up again. Worse, if the exercise habit is broken, it might be difficult to start again. If you’re trying to get rid of leg pain, start where the heel hits the road. In other words, physical activity can strengthen bones and muscles, improve overall health, and lessen discomfort from leg pain, but if the exercise is too much, too fast, the body won’t be able to adjust. This is when injuries occur. WikiHow also demonstrates other leg pain stretches you can do if you’re learning how to get rid of leg pain. This video from Keith Scott shows how to use pressure point therapy to work out leg spasms and knots. Trying to figure out how to get rid of leg pain? Try swimming! Because our bodies are more buoyant in the water, a swimming workout does not have a negative impact on the joints in our legs. The water also provides resistance for our muscles to work against. Swimming is beneficial to the body at all levels and even other water-based activities can be great for leg pain, such as water aerobics which is a much lower impact activity than regular aerobics. This exercise is a great work out for patients with sciatica leg pain because it can remove the pressure that causes pain in the sciatic nerve. Swimming laps, water aerobics, and even water walking can help alleviate the pain from sciatica leg pain and provide exercise that strengthens the muscles of the legs. Since sciatica is ultimately a symptom of other conditions, such as a herniated disc, it is good to provide exercises that can alleviate the pain. Keep in mind that some strokes, such as the butterfly, can put strain on the muscles of the back and counter the good results of a swimming workout. Knee pain, which is often caused by conditions such as osteoporosis or osteoarthritis, can also benefit from a water-based workout. In the water, the body is not subjected to the same forces of gravity that allows our own body weight to cause pain in the joints. Again, be sure to avoid strokes or kicks that put excess strain on the knees. Many people use yoga as a way to stay fit and increase their sense of well-being through meditation and relaxation. Yoga is essentially a choreographed series of movements meant to open your energy centers and stretch and strengthen the muscles in the body. Yoga is generally considered safe and it is easy for beginners to pick up the basics. However, it is important to make sure that you do the poses correctly to avoid any unnecessary strain on the body and prevent injury. While there are plenty of videos and mobile apps that can help with yoga it may be a good idea to start with a class where a teacher can instruct you in the correct form. This kind of dedicated stretching workout can be great for osteoarthritis. Because yoga is low-impact by nature and does not involve any sudden movements it likely will not put pressure on already damaged joints. Yoga can also be modified to use in a variety of ways if someone has any physical limitations. Like swimming, yoga can also be beneficial for relieving the pain of sciatica leg pain. Because this pain is caused by pressure being placed on the sciatic nerve, anything that can take the pressure off can provide pain relief. Seated or standing spinal twists can help alleviate this pain as well as poses that open the hips. For more resources on yoga for pain check out Yoga International for sciatica relieving workouts. This eBook by Radha Yadav can also provide more details on how to use yoga for leg pain. Prevention Magazine also shares some insight on using yoga to help with a variety of aches and pains. If you’re wondering how to get rid of leg pain, one of the easiest answers is to walk more! Incorporating just 30 minutes of walking into your routine everyday has a host of health benefits. Most importantly, it keeps your legs moving. Read more about all the benefits of walking. If you need to know how to get rid of leg pain, sometimes it’s as easy as looking at your plate. The right diet can help reduce or prevent leg pain from many different causes. Osteoarthritis leg pain can be increased due to inflammation in the joints. Therefore, foods that increase inflammation can trigger leg pain in patients with osteoarthritis. Finding alternatives to these foods is not difficult. Adding fresh fruits and vegetables to your diet as much as possible is a helpful start. Be sure to concentrate on dark green and orange vegetables such as broccoli, spinach, kale, sweet potatoes, and squash. These can provide the right nutrients to help curb the effects of osteoarthritis. Whole grains are also important so order brown rice instead of white rice when you’re out. Oatmeal, popcorn, and whole wheat pasta are also good sources. Calcium rich foods like low fat or nonfat milk and yogurt can help provide additional nutrients that your body needs. Finally, make sure that your proteins come from lean sources. Chicken, beans, and seafood are a great place to start. How to get rid of leg pain? Look to your glass! We’ve been talking about small changes you can make to all your activities, but it’s because they work. Consider osteoporosis in particular. Because osteoporosis is a condition that reduces bone mass and density, it is important to avoid foods that irritate this condition. If the bones in the leg continue to lose bone structure, it can result in leg pain or worse, a broken bone. Drinks that especially exacerbate osteorporosis pain are carbonated beverages or those containing caffeine. Carbonated beverages contain phosphoric acid that can cause the body to lose calcium through urination. Popular sodas are also often consumed instead of calcium rich beverages like milk. Instead of that can of soda, pick up a glass of orange juice that has been fortified with calcium and vitamin D. Choose seltzers or club sodas without phosphoric acid if you really need that fizz. A fruit smoothie or even chocolate milk can be healthier than a carbonated soda. So many adults in the U.S. rely on caffeine to get us through the day but this can have long-term consequences. Caffeine also leaches calcium from our system. Coffee and sodas or energy drinks with added caffeine contribute to this loss of bone mass. Tea, even though it contains some caffeine, doesn’t seem to have the same effect. Start slow by trading in fully caffeinated coffee with half decaffeinated coffee before making the switch to entirely decaffeinated. Rooibos tea, also called red tea, from South Africa has absolutely no caffeine and a satisfying earthy vanilla flavor. Or, order a decaffeinated latte from your local coffee shop, which will allow you to skip the caffeine but add some milk to your day. Dr. Sanaz Majd explains that too many people are affected by leg pain at night. One of the best tips for how to get rid of leg pain, especially leg pain at night, is to determine if your leg pain is due to restless leg syndrome or nutritional deficiencies. Read our trips for diagnosing, managing, and treating restless leg syndrome here. If it’s a nutritional deficiency, read on. Muscle cramps in the legs affect many people–as many as 60% of adults. These can be caused by over-exertion, but they can also be caused by nutritional deficiencies. While most of us may experience leg cramps from time to time, up to 20% of people experience chronic forms of leg cramps. For how to get rid of leg pain due to cramps, often home remedies can be really useful. Potassium: When people lack potassium, an electrolyte, it can lead to muscle cramps. Incorporate more potassium rich foods into your diet, such as winter squash, sweet potatoes, white beans, halibut, or broccoli. WebMD provides a list of the foods with the most potassium on their website. To get the most potassium out of your vegetables, avoid boiling them and instead eat them raw, roasted, or lightly steamed. Magnesium: Another electrolyte that can help prevent muscle cramps, magnesium, is largely ignored for its health benefits. In addition to preventing leg cramps, incorporating the right amount of magnesium into your diet could help cut your risk for heart attack and diabetes! The best way to get more magnesium into your diet is through food. Focus on dark leafy greens like kale, nuts and seeds, fish, soybeans, and avocados. Chondroitin is another supplement commonly taken with glucosamine that can also stimulate the growth of new cartilage components. In addition to these supplements, Dr. Weil recommends eating foods that can reduce tissue damage from inflammation. These include oily fish, such as salmon, ginger, turmeric, and organically grown fruits and vegetables. Many treatments rely on rest, hot and cold therapy, and physical therapy to reduce the pain associated with sciatica. However, capsaicin skin patches may be another treatment option for this neuropathic condition. Derived from chili peppers, capsaicin binds itself to the nociceptors in the skin, which excite the neurons. This creates increased sensory sensitivity to itching, pricking, or burning. This is then followed by a period of reduced sensitivity. With the right amount of use, you can achieve persistent desensitization to pain in the affected area. Evidence has provided strong support for the effectiveness of capsicum over placebo in controlled trials for patients suffering from sciatica leg pain. Depending on the source of your leg pain, cold compresses may help to reduce inflammation. This is especially true for soreness after exercise. Top10 Home Remedies explains the best way to create one for yourself. How to get rid of leg pain after an injury? Use the classic RICE method, as explained by WikiHow: Rest, Ice, Compress, and Elevate. Don’t have to tell us twice! Many claim massage can help break up sore muscles and reduce pain. Over at HomeRemediesCare.com, they advocate for the use of primrose or lavender oil during the massage to boost the pain-relieving benefits. If these home remedies don’t help with your leg pain, talk to your pain doctor about how to get rid of leg pain. Your pain doctor may recommend any of the following treatment options. Click the links below to learn more about each of your options. Reach out to a pain doctor today if you’re interested in trying any of these leg pain treatments. They’ll be able to discuss these treatments in more depth and can figure out which ones would be most appropriate for your pain. Excellent article! Really helped me manage my leg pain. We are SO glad to hear that Hannah! Im 16 and i have been up ALLLL night with pain in my lower calf and i cant sleep, i tried pretty much everything and it just keeps getting worse ? Hi Mary — We’re so sorry to hear this. If you’re experiencing pain that’s affecting your ability to sleep, you should talk to a medical professional for help. They’ll be able to diagnose what’s going on and provide options for treatment. You can find a pain specialist near you at https://paindoctor.com/find-your-pain-doctor/. Great tips. I just tried it and it really helped me to manage the stress of thigh muscles. I have been experiencing pain in my thighs and sometimes down into my calves, and always on the outside part of the leg.it comes and goes but is worse in the left leg. Aleve helps. The thigh muscles are very tight, and sometimes ache at night. I am aware of the pain turning in my bed sometimes at night. I do not know what type of doctor I should see. I feel the cause is either muscle, or tendons. I would like your input if possible. Hi Norma — Unfortunately we can’t answer specific medical questions on the blog. We recommend reaching out to a doctor in your area: https://paindoctor.com/get-relief-now/ or https://paindoctor.com/pain-management-doctors/. Hi Avinash — Unfortunately we can’t answer specific medical questions on the blog. We recommend reaching out to a doctor in your area: https://paindoctor.com/get-relief-now/ or https://paindoctor.com/pain-management-doctors/. Hi Dennis — Unfortunately we can’t answer specific medical questions on the blog. We recommend reaching out to a doctor in your area: https://paindoctor.com/get-relief-now/ or https://paindoctor.com/pain-management-doctors/. hi m preet .m pregnant ..i feel legs pain all time at night..so what i should do to stop this.. m very upset..
Hi Preet — Unfortunately we can’t answer specific medical questions on the blog. We recommend reaching out to a doctor in your area: https://paindoctor.com/get-relief-now/ or looking up tips to find one in your area at https://paindoctor.com/pain-management-doctors/. Hi, my grandpa who is 76 years old has immense pain (I know this because he’s literally immune to any physical pain) on his right thigh that spreads down to he’s leg. He’s had this pain for almost a month now and it’s getting worse. He’s tried pain killers but the pain still stays! What can I do I feel really sad when he cries silently at night! Hi David — Thanks for reaching out. Unfortunately we can’t answer specific medical questions on the blog. We recommend reaching out to a doctor in your area: https://paindoctor.com/get-relief-now/ or using the tips here to find one: https://paindoctor.com/pain-management-doctors/. That being said, pain management does go beyond medication. You can learn the basics of pain management and different approaches to try here: https://paindoctor.com/interventional-pain-management/. thanks for sharing the wonderful tips. Van reversed into my lower leg not fast but I was right behind it has it jumped gear. Now I can’t hardy walk on it. Limping can’t put foot flat to the floor. Thank you for sharing your story here and hope you can find pain relief. Cold therapy is good or hot therapy? Hi Ayesha — You can learn more about these treatments at https://paindoctor.com/hot-and-cold-therapy/. I have rest leg pain that only allows me to get 2-3 hours of sleep. I am using supplements, doing light exercise, anf elevating my legs. Would a TENS unit help or hinder if I used it before sleep? Hi Janelle — Thanks for reaching out. Unfortunately we can’t answer specific medical questions on the blog. 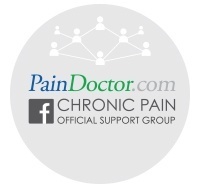 We recommend reaching out to a doctor in your area: https://paindoctor.com/get-relief-now/ or using the tips here to find one: https://paindoctor.com/pain-management-doctors/.